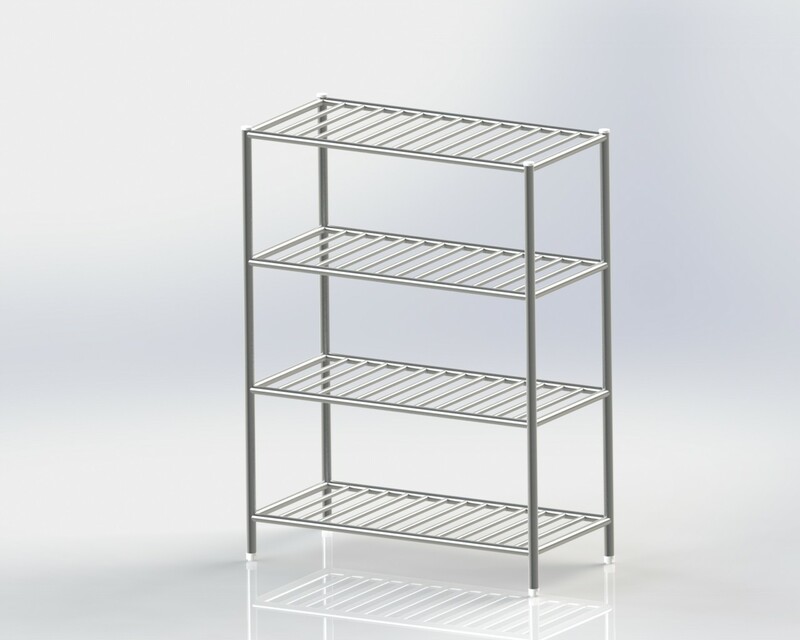 The Heavy duty 4 tiers rack are made of AISI 304 16 gauge Round Pipe 32 & 19 . Legs are made of AISI 304 3816 gauge Round Pipe. All Pipe Construction is TIG Welded. Entire Surface is design in satin scotch brite finish.